I first learned to play disc golf in Breckenridge Colorado in the early 90's and with a couple of discs left over from that experience I introduced a few friends to the sport on the island. We started in an abandoned half built housing complex close to Edgartown Ma. but when it was flattened to build a ball golf course we needed a new home. I then approached State Park Ranger Jon Varkonda, after he scolded me for suggesting I knew anything about land management and thoroughly reminded me it was his State Forest we sat down for a coffee and flipped open a few maps to look for suitable land. To my luck Jon had enjoyed playing disc golf as a college student in California in the 70's and thought it was a brilliant idea. We settled on an old field cleared for Quail hunting back in the day set on an ancient river-head. Amazingly the original five of us had immediately doubled as we found other disc golfers on the Island ready to join us in constructing the course. At the time there were maybe 3 or 4 disc golf courses of the 40 that now exist in Massachusetts, not unlike here the sport was new to the area. The real factor of our longevity and increased popularity was listing the course on the PDGA directory, this alerted disc golf tourists visiting the island to bring their discs, and they came in droves from all over the globe. The traveling players enjoyed the course, offered advice, donated their time to help with projects during their vacations or gave us money to use to keep up with the evolution of maintaining 20+ acres of land. It was a fantastic experience and taught me about the culture of the sport. After three years of fundraising and hosting events we had built a traditional disc golf course with official baskets and through necessity I was selling discs out of the basement of our Diner in Edgartown. This continued for a few years but when our daughter was born we decided to sell our businesses and moved off the Island in 2005. We returned to the area of my hometown Worcester Ma.. We left the course in excellent hands though, today the course remains free to the public boasts 54 holes on 36 baskets and hosts the largest single day tournament in New England as well as close to a thousand locals and tourists each year. 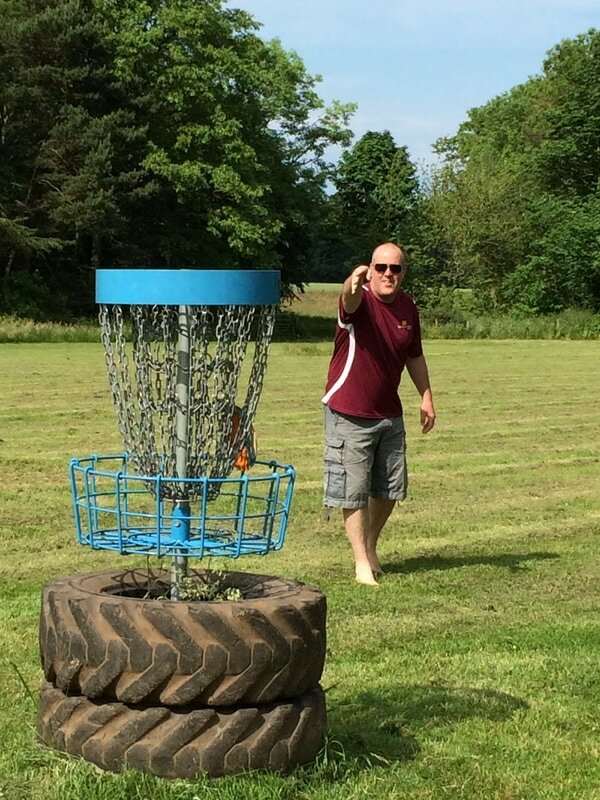 I continued my work as a Chef in the area but always managed to find time to enjoy the sport I loved, there were 10 disc golf courses within an hours drive from our home. These courses were all unique and hosted more events and leagues than I could attend. During this time I not only honed my skills as a disc golfer but watched and learned from the explosion of the sport that had ignited and launched all around me. In 2008 I was lucky enough to be offered the opportunity to work as the Food Manager for a new event in Leicester Ma., The Vibram Open. What a great experience this was, this event became the crown jewel of The Professional Disc Golf Association and had a $50,000 purse as well as drew the best disc golfers in the country on arguable the finest example of a disc golf course. My experience with the Worcester County disc golf scene culture only encourages our ambitions in this area. East Lothian has always been a home away from home for me, my lovely wife Julie is a native of the area and we have been visiting her family here for many years. We currently live in North Berwick with our daughter not far from where we were married in 1998. Because of our positive experience in the past with disc golf we decided to form a company and introduce the sport to the area. 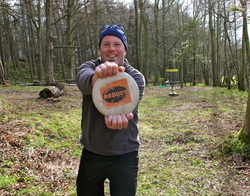 We chose ReBoot due to our new beginning here and the reintroduction of disc golf in Scotland. 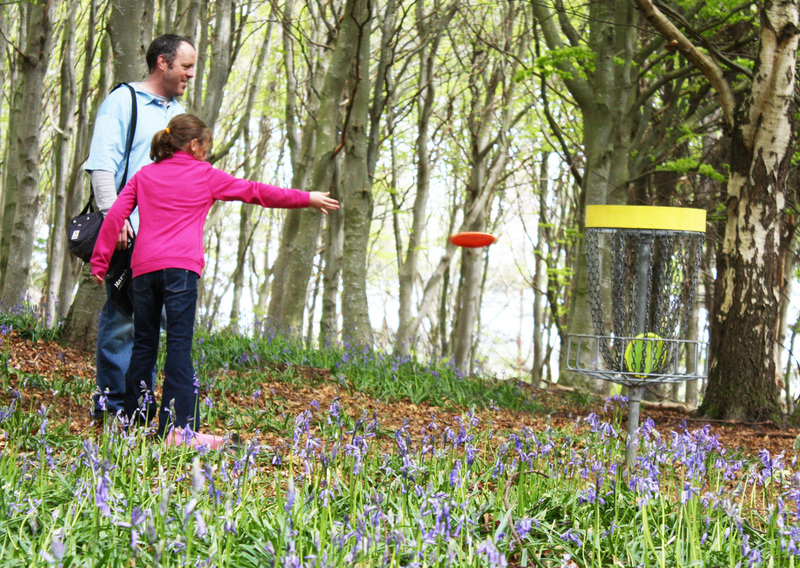 Our ambitions are fairly simple, expand disc golf in the area and enjoy East Lothian along the way. Stop by ReBoot Disc Golf Course at Foxlake Adventures in Dunbar and experience one of the fastest growing sports in the world for yourself.